New Delhi: The Delhi High Court made it clear to the AAP government Tuesday that the risks of administering measles and rubella vaccine have to be indicated in its advertisements on the vaccination drive to be held in schools, and said express consent of the parent is necessary to vaccinate a child. “Contra indications are necessary for consent, whether positive or negative. You have to tell people about the risks,” Justice Vibhu Bakhru said, adding that the “consent has to be express” and not opt-out. The observations by the court came after the Delhi government, represented by standing counsel Ramesh Singh, said there was no need to indicate contra-indications or risks of the vaccine as it could discourage people and added that it would be administered to children unless parents state in writing that they are opting out. The Delhi government’s submissions were made in a proposed draft order placed before the court which was hearing pleas on behalf of parents challenging the Directorate of Education’s December 12, 2018 notification which said that express consent was not required to administer the vaccine. The notification had stated that “measles and rubella (MR) vaccination campaign would be held, and all children…will be provided an additional dose of MR vaccine, regardless of previous vaccination status or history of measles/rubella like illness”. 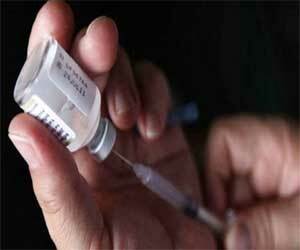 The court on January 15 this year had deferred the vaccination drive till further orders. On Monday it had asked the DoE and the parents to come with an agreed upon draft order which can be incorporated by the court in its final decision. However, during the arguments on Tuesday, Delhi government differed with the parents on the issue of indicating the risks in the advertisements and on the manner of consent. “If it is an older one, then children may not need it as they may have been already vaccinated,” Rao said. In response to this, DoE told the court that the vaccine to be used has been there for 40 years. It also said that opt-out consent was necessary as a target of 95 per cent coverage is necessary under the policy or the campaign will go and added that the Union government has launched the vaccination drive across the country to eliminate the measles and rubella disease from India. After hearing the arguments of both sides, the court said the idea behind the campaign was to educate people about the problems associated with the disease and not to tell them when the vaccination would commence. The court also said that instead of tentative dates, the DoE will have to give fixed dates as to when the vaccination would be carried out in each school and forms can be circulated for obtaining consent of parents.